Blackpool, a famous resort for British holidaymakers, retained its trams whilst other British cities closed their systems and by the 1960s, was the only traditional tramway left in operation. Although some urban routes were closed, the long run along Blackpool's seafront, passing two piers, the famous Tower, countless amusement arcades and the large sandy beach survived both as a tourist attraction and an important local transport link. The line runs northwards along the Fylde coast to Cleveleys and Fleetwood. A feature of the Blackpool tourist season is the "Illuminations", when , at the end of the main summer season, the sea front is brightly decorated and lit up with thousands of coloured lights. 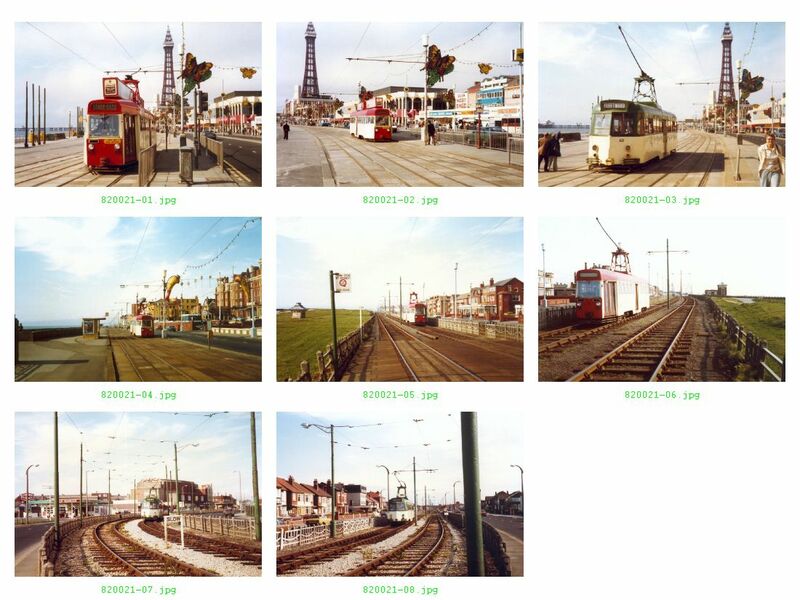 Blackpool's tram fleet has always include "Illuminated" trams of various guises, plus open trams for tourist trips. Although Blackpool embarked on a fleet modernisation programme in the 1980s, the limited finances of this relatively small town, meant that only limited numbers of new trams, substantially built in the undertaking's own workshops with technical support from local bus body manufacturers, were introduced. The backbone of the fleet remained single and double-deck trams dating from the 1930s.